The Starting Price is for the Round Table only. 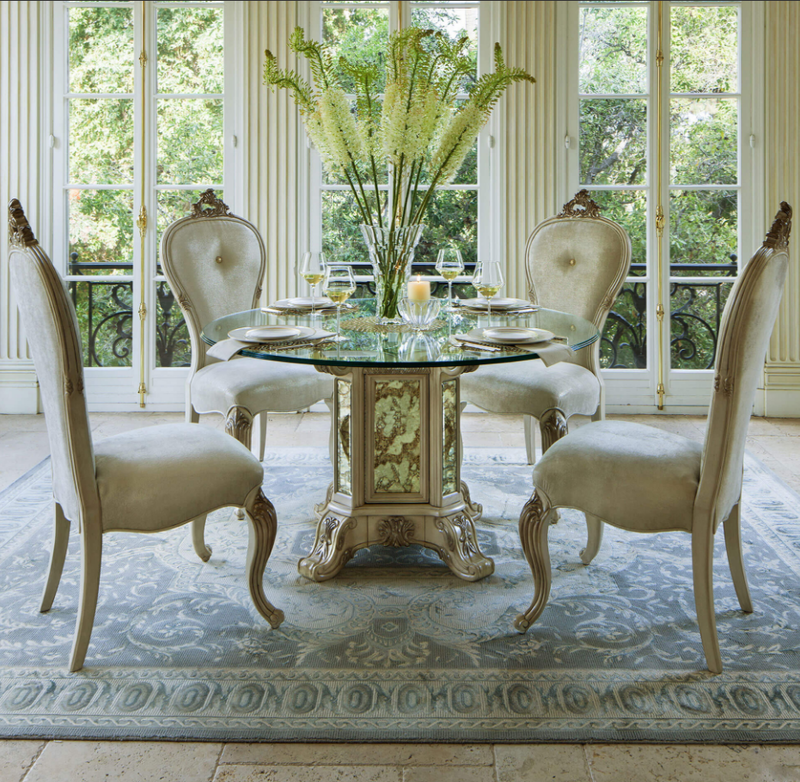 Michael Amini & Jane Seymour present the Platine De Royale collection A Design Collaboration is scaled and proportioned for glamour and functionality of our larger collections. The unique combination of materials blend masterfully with the subtle tones of the finish, creating fashion for the home. Top and Base Combined. This luxurious collection makes you feel like Royalty, It's upholstered headboard and footboard are accented with Swarovski Crystals in each tuft for a dazzling look. 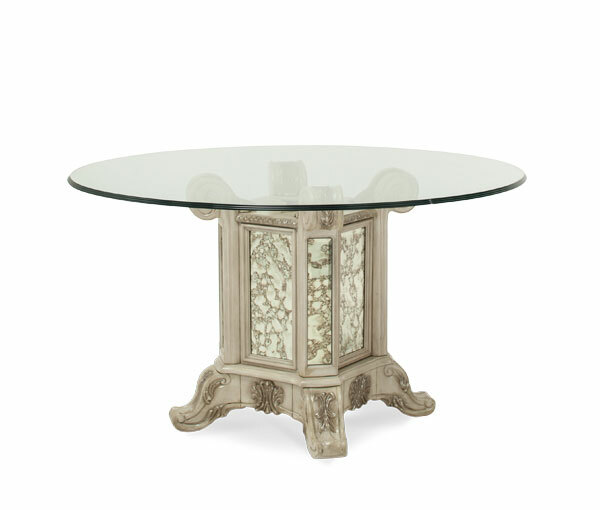 Antique Platinum Finish solid birch hardwood construction. Please select other items for complete set contact us and get the Best deal. This luxurious collection makes you feel like Royalty. 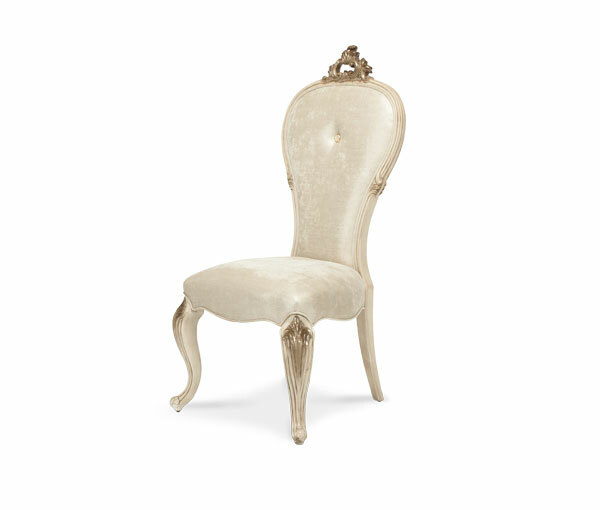 It's lush upholstered pieces just complement the gorgeous wood accents. 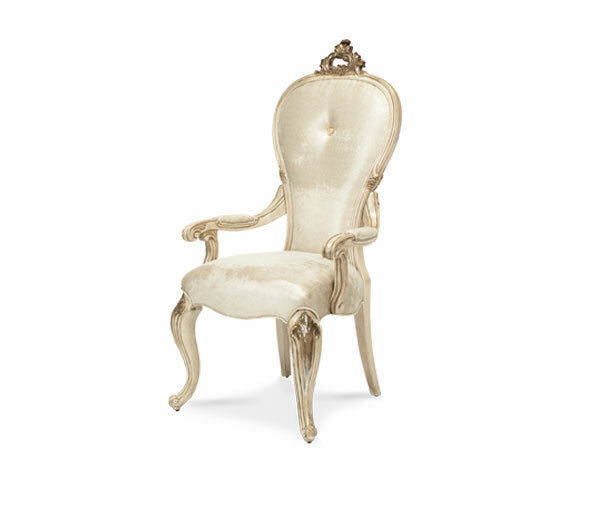 Come feel like a Royal with the Platine de Royale by Michael Amini! Dining Table W25.25" D25.25" H30.00"
Arm Chair W25.75" D27.25" H50.50"
Wall Mirror W51.00" D1.75" H35.25"